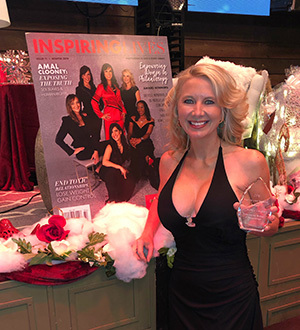 Michele L. Langbein, Ph.D., '02 '04, professor of business management in the Rowland School of Business, received the Empowering Women in Philanthropy Award from Inspiring Lives Magazine. At a Dec. 7 ceremony in Pittsburgh, Langbein and four other women received awards for their service in volunteering, raising money and other charity work. Langbein has helped dozens of charities throughout the past year. She also volunteers to help small businesses with promotional activities. The cover story of the spring issue of Inspiring Lives Magazine will feature Langbein and the four other winners. Langbein currently teaches the following undergraduate and graduate business courses at Point Park University.